This Amish handcrafted hope chestis proudly made in the USA of 100% solid cedar wood. 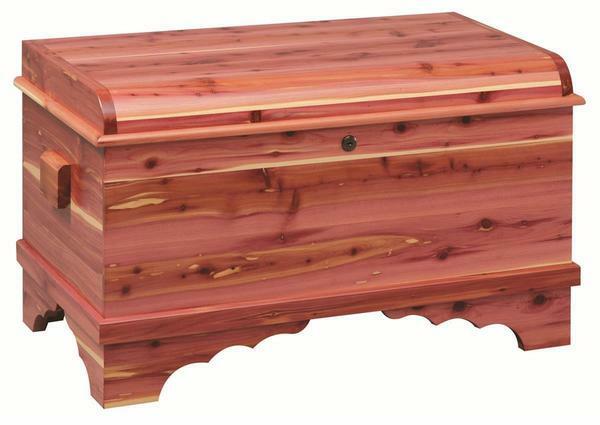 Our cedar wood hope chests offer you the best in cedar wood storage. Using solid aromatic cedar with a clear finish gives you the beautiful color variations. These chests come standard with folding lid support, locks and casters except on the petite size. You will have 2.2 cubic feet of storage in this beautiful storage chest. Please call one of our helpful Amish furniture specialists with questions or assistance!